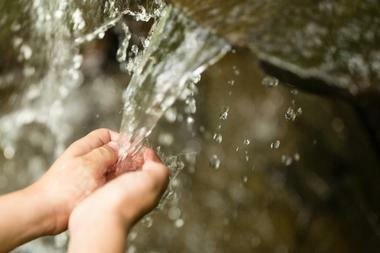 Waterfalls are some of nature’s most magnificent creations, and the state of Maryland is home to a good handful of them. 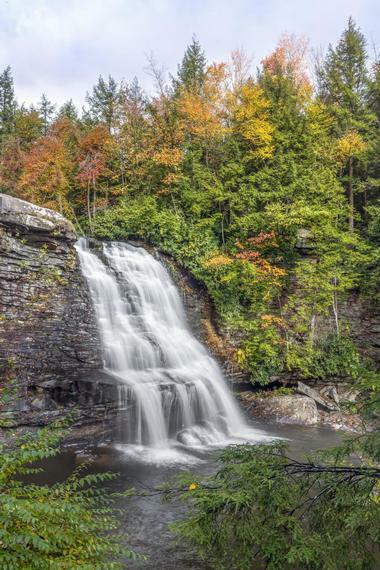 The waterfalls we’ve listed below are scattered in various locations, although Swallow Falls State Park is home to three of the ones on our list. 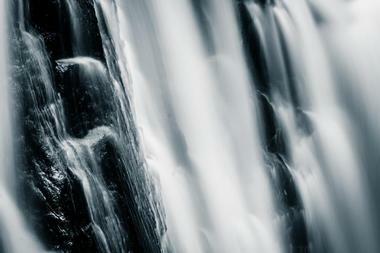 These waterfalls vary in length and ease of access, but are all equally breathtaking and worth the visit. Some of the sites that shouldn’t be missed include Maryland’s largest cascading waterfall, Cunningham Falls, as well as its highest free-falling waterfall, Muddy Creek Falls. A visit to these waterfalls could also include other outdoor activities such as hiking, boating, whitewater rafting, kayaking, canoeing, birdwatching, swimming, and much more. Visitors can start out at the Orange Grove Area for a 2.2-mile walk along a loop trail that will lead them to Cascade Falls. The trail is fairly easy, so it is a good choice for beginners although it can get steep in certain sections, making it suitable mostly for foot-use rather than biking. It is worth the trip because walking the trail will give visitors an opportunity to see beautiful Cascade Falls as well as the rapids that follow. It’s great for those looking for a quick escape from their daily routine and the relaxing surroundings are a great place to rejuvenate after a busy day. 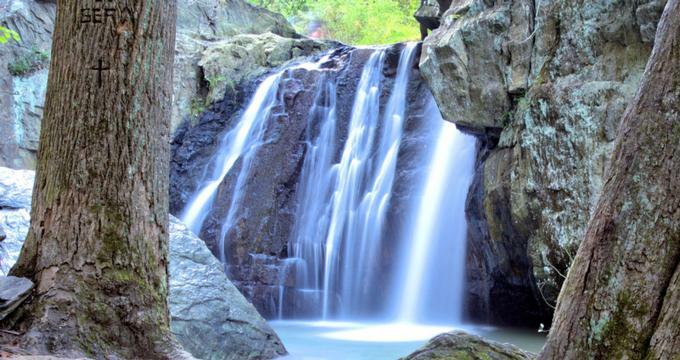 Located within a state park of the same name, Cunningham Falls is the largest cascading waterfall in Maryland. Known locally as McAfee Falls, Cunningham Falls has a height of 78 feet and was supposedly renamed after a photographer who frequently took pictures of the falls. Visitors will not only get to see the beautiful sight but will also come across other features such as an old homestead that can be seen above the falls and a natural rock formation called Dunkards Trough that was once used for baptisms. While at the park, you can participate in various other recreational activities such as hunting, swimming, fishing, boating, and camping. 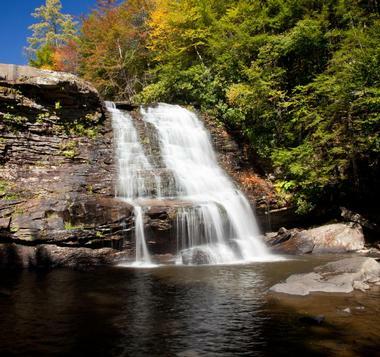 Often called Falling Branch Falls because of its access road with the same name, Kilgore Falls is the second highest free-falling waterfall in the state. The 17-foot-high waterfall is an extremely popular place to visit during warmer weather as patrons are invited to swim under the falls and in the creek. There is a single half-mile trail that leads from the parking lot to the falls, and the parking lot is open daily from 8:00 a.m. to sunset. Though picnicking and grilling are not allowed near the waterfalls itself, visitors are invited to do so at the main part of Rocks State Park or at the Eden Mill Nature Center and Park. 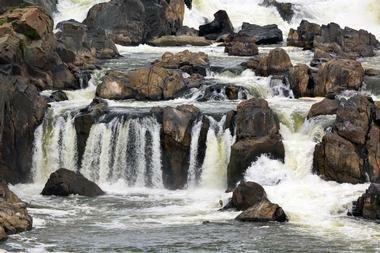 Bordering both Maryland and Virginia, the Great Falls of the Potomac is a series of waterfalls and rapids on the Potomac River. The river falls a total of 76 feet spanning less than a mile of waterfalls of various lengths. Visitors can access scenic views of the falls from the Billy Goat Trail on Bear Island as well as get some breathtaking vantage points of Olmsted Island. Visitors can participate in the many outdoor activities that are popular in the surrounding area, including hiking, rock climbing, kayaking, and whitewater rafting. It’s a great place to spend the day with family and friends and is sure to be a site you will want to visit multiple times. 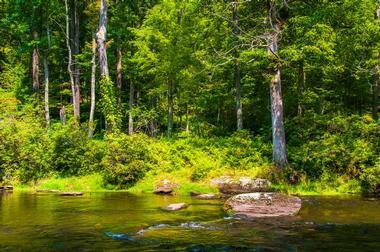 Located within 18,000-acre Gunpowder Falls State Park, Big and Little Gunpowder Falls are stunning sights to behold. To access the waterfalls, visitors will have to start their hike from the Central Area, which is also home to the historic Jerusalem Mill Village and the 19th century Joppa Iron Works. The park is one of the largest in Maryland and has many additional features for visitors to enjoy; after viewing the beautiful falls, you can walk on the 120 miles of trails, go biking, fishing, kayaking, or enjoy canoeing. Visitors can also head to the park’s swimming beach, complete with a marina for a fun day in the sun. 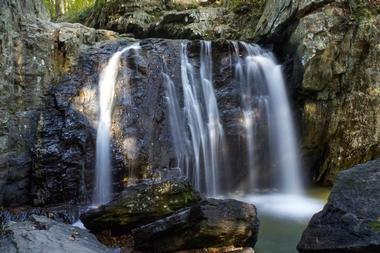 Muddy Creek Falls is a beautiful waterfall that is the highest free-falling waterfall in the state of Maryland. The waterfall drops over 53 feet from the Youghiogheny River, which has many other smaller waterfalls as well. Visitors can also enjoy the park’s old hemlock trees, some of which are over 300 years old. The park has been around since 1906 and has been visited by many notable people, including Harvey Firestone, Henry Ford, and Thomas Edison. In addition to viewing the waterfalls, visitors will be able to visit the park’s picnic area complete with pavilion and playground, walk the hiking trails, go mountain biking, or camp in one of the many campsites. After viewing the larger Muddy Creek Falls within Swallow Falls State Park, visitors can also head to the smaller Swallow Falls, which also flows from the Youghiogheny River. The park is open from 8:00 a.m. to sunset all year round and is home to some of the most breathtaking scenery in the state. The fun doesn’t stop after you’ve viewed the beautiful waterfall; you can also go hiking along the trail, enjoy mountain biking, or have a picnic in the designated area complete with playground and pavilion. There is a lake with a swimming beach as well as boat rentals and a snack bar, which are open during the summer. More adventurous visitors can make a weekend of it and go camping in the wooded campsites, which have several amenities to make the stay that little bit more pleasant. 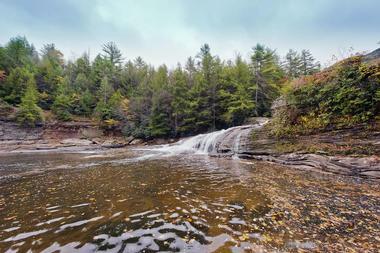 Tolliver Falls is one of the lesser visited, yet more serene, waterfalls found within Swallow Falls State Park. The waterfall is easily accessible through the Herrington Lane entrance, and it is a short, beautiful hike to get there. Though it is only a few feet tall, Tolliver Falls is surrounded by a scenic view that makes it a calm and relaxing place to visit. If you’re already there, make sure to stop by and visit the two larger waterfalls in the state park, Muddy Creek Falls and Swallow Falls. The park also allows for many other outdoor activities such as swimming, camping, hiking, picnicking, and mountain biking; there are boat rentals available in the warmer months.